5. Compatible with many hardware for truck diagnosis. Cummins Inline 6 insite 7.6 VS Inline 7 insite 8.3 in software & hardware, you will agree Inline 7 insite 8.3 improves a lot after reading the following table. 4. When install insite, you need to change the computer time which is not easy to do. 2. The software is authorized for free, what the user to do is enter the serial number. 2. The iron shell is heavier and not easy to take. 2. Comes with double-layer plastic which is anti-stress and stable, it can protect the circuit board well. The outer layer is soft and comfortable to the touch..
For a long-time use, the two rows of hollow pins are easily poor to contact, broke or bent. The three rows of solid pins are durable, its warranty is 3 years. is improved, and the stability of the equipment is ensured. The maximum warranty is three years. 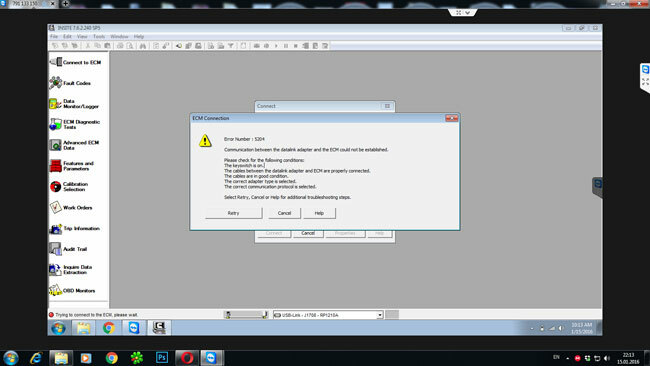 Cummins INSITE 8.2.0 support win7 32. Cummins INSITE 8.2.0 is offered in four functional levels: Basic, Lite, RSGR and Pro, ranging from a read only access level to full-function access and capability for the service professional. 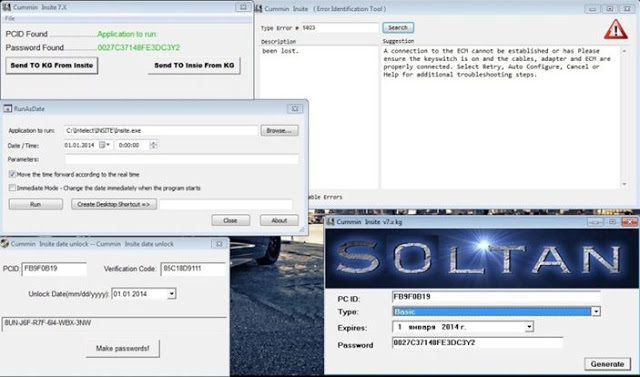 This is Cummins INSITE 8.2.0 Pro Version Support 500 times. Software need activation, one activation including 500 times. I have had it work on win10 home too but it quit working. I reformatted my drive tried to install insight and it says something is interrupting install. I am trying it on win10 pro. 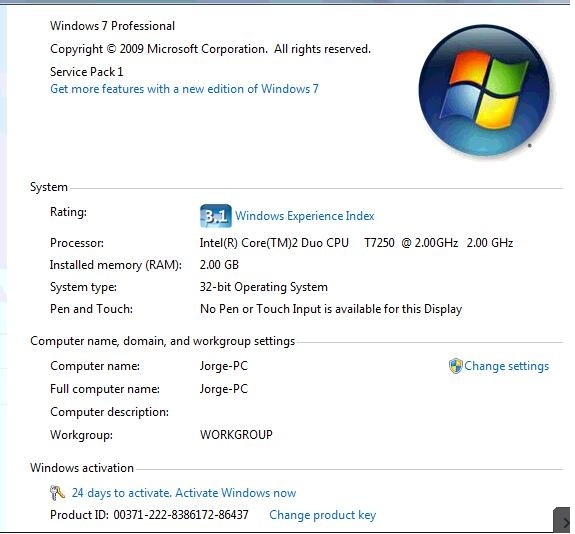 I installed 7.6.0 and it worked fine, I then copied my entire Intelect folder from another computer that is running XP withinsite 7.6.2 to a flash drive and from the flash drive I moved the intelect folder to the computer that I am using windows 8.1 on. It worked fine for me after unlocking and applying the SP5 patch. I did the same to a computer using windows 10 with no issues. 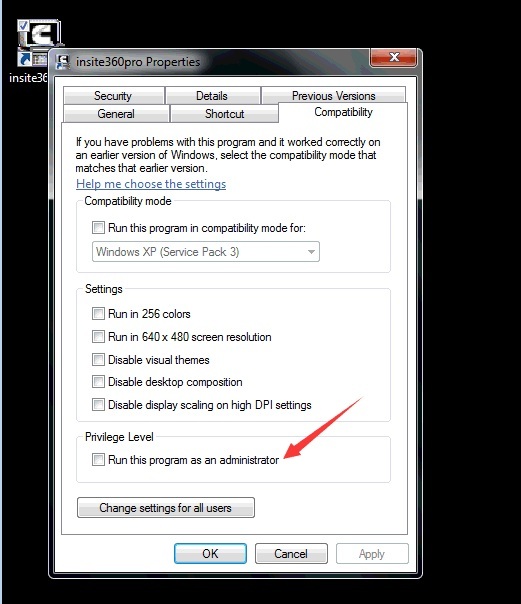 I install version 7.6 of insite in Windows 10 without any problem, the following maner before giving double click the setup, then you give right- click and select properties select compatibility compatibility mode to win xp sevice pack 2 and ready the program began to install only have patience . I’m running Ubuntu 15.10 with VirtualBox, and Win XP VM. INSITE works perfectly, and not one problem with the install. I have done it multiple times. Try running a VM with an older version of Windows. Just my two cents. I have install all Insite, Jpro, DDDL, on win 8.1 then updated to win 10 all work fine on issue. i got mine to work but had to set it as admin and run as windows 7. Communication between the datalink adapter and the ECM could not be established. Here is what have been tried but failed! some things odd2006 models connect through J1939 and works. The solution is this, connect, then scan to diagnostic connector but not to USB, open the Cummins insite and push connect, when the Insite begin to connect, immediately connect the USB and ready…. datalink adapter and the computer. datalink adapter and the ECM. If the “Auto Configure” and/or “Datalink Adapter Connection Test” do not find the adapter when connected, manually configure the Cummins Inline 6 Data link adapter connection. 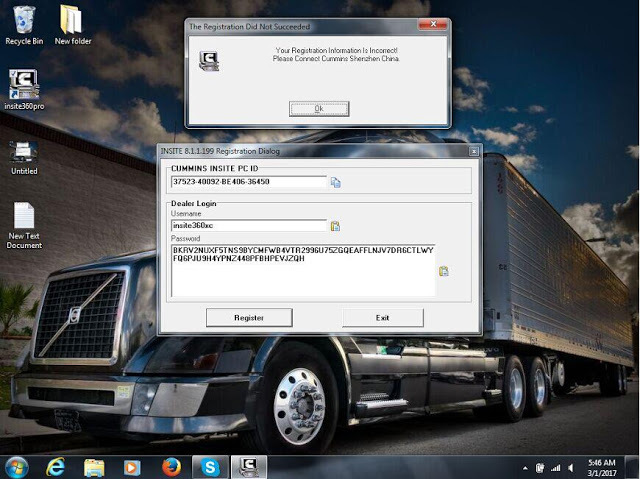 Here share with you a working solution for Cummins INSITE 8.2.0 registration error “Your registration information is incorrect”. So you can activate Cummins INSITE successfully! Error: After I installed Cummins INSITE 8.2.0, I fulfilled all blanks on the registration diaglog, but it popped up a error message saying the registration did not succeeded! 1. Check if you run as Administrator? 2. Check if you install Cummins INSITE drivers properly? Next open and close Cummins INSITE, open it again then complete the activation. 4. Please do not change any computer setting like Country or Language. 5. Maybe your Windows system is inactivated. P.S What’s the difference between Cummins INSITE Pro and Cummins INSITE Lite? While all other Cummins INSITE versions can’t do that!